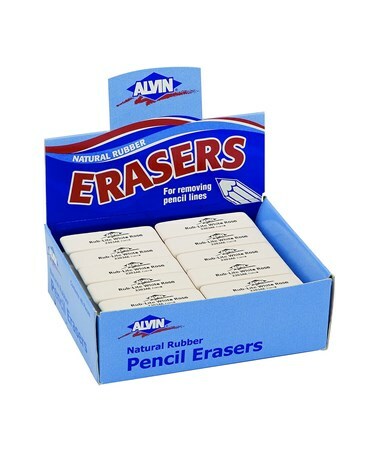 The Alvin Rub-Lite Natural Rubber Eraser – Box of 40 is a functional and versatile tool ideal for removing pencil marks on any technical drawing after inking. It is beveled for accurate erasing and resists smudging to ensure clean and neat drawings. Made of natural rubber, it is soft and pliable to allow ease of use. It is also phthalate- and PVC-free. 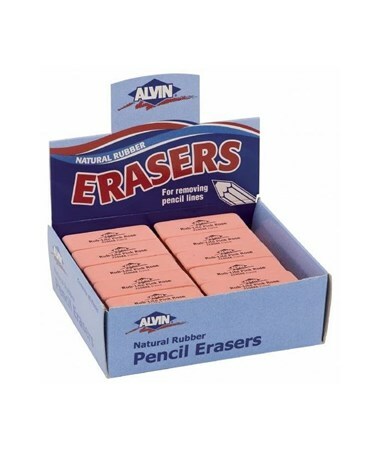 The Alvin Rub-Lite Natural Rubber Eraser – Box of 40 comes in two different colors: pink rose and white rose. It measures 5"W x 4 ½"L x 4 ½"H and includes 40 individual erasers in one package. 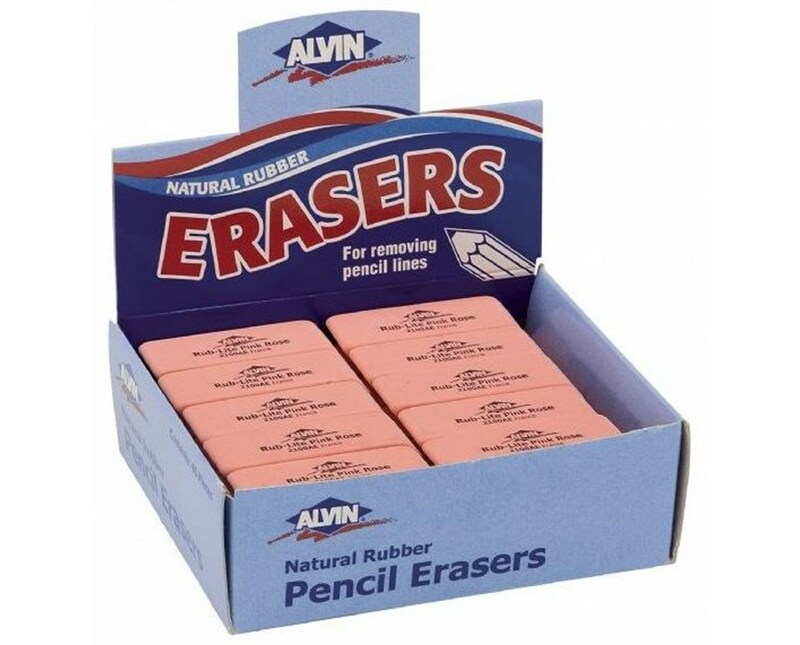 The Alvin Rub-Lite Natural Rubber Eraser – Box of 40 comes in two color variations. Please select your preference from the menu above.